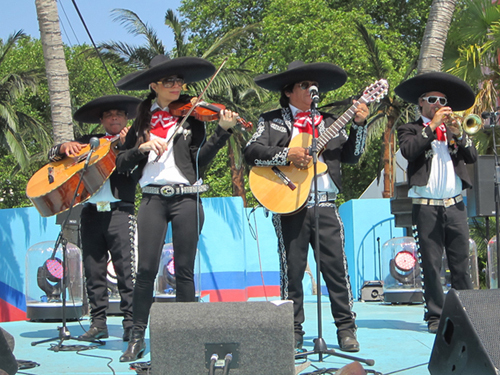 We wanted to say a massive thank you for the wonderful mariachi Tequila band. The guys were fantastic and everyone loved them. It was a great night shame it had to end so horribly with Trump being elected!! We will definitely recommend you guys in the future. I just wanted to say a huge thank you to the band at my wedding, they were brilliant!! They timed it to perfection entering the room after the speeches, it was such a great surprise to all our guests who loved them! Thank you all so much! I just wanted to say a huge thank you to you and to the band for Saturday night. I had anticipated the excitement, but what I hadn�t expected was the wonderful, joyous sound of the band, and what an effect it would have on everyone. The trumpet was so beautiful! It really was a special experience and better than I could have imagined. Laura was surprised and delighted and is still talking about it now. Please pass on a massive thank you to Franco and the band, and of course thanks for your patience and organization with my crazy last-minute request! I just wanted to say that Franco and the Tequila band were brilliant at our launch party and I will highly recommend them. They got us so in the mood for dance we carried on dancing until 2am. Thank you. Wanted to say ONE BIG THANK YOU for Saturday, was such a great buzz in La Casa Loca at Wahaca�s Day of The Dead Festival. Client called me this morning to say "You guys were brilliant, we want to work with you again soon", already talking about getting you involved in their festival presence next year - So watch this space! Just wanted to drop you a mail to say how much we enjoyed mariachi tequila on Saturday, they were brilliant and my husband loved the surprise. Thanks again for a professional service, I won't hesitate to recommend you or the band. Booked these for my 10 year wedding anniversary party Mexican fancy dress. The band were absolutely fantastic, really got involved with the crowd. All really nice guys, I would highly recommend this band for any Mexican party or just an ordinary party, It made the night a great success. Thankyou! Absolutely fantastic atmosphere and they really entertained - even playing two extra songs after finishing. They brought a real flavour of Mexico to our wedding celebrations, and now my husband and I cannot wait to go on our Honeymoon to Mexico in August. I just wanted to send a follow up email to thank Tequila band so much for coming to perform at our event on Wednesday evening. I have received a tremendous amount of positive feedback from everybody on the event and their playing, which was a beautiful accompaniment to the surroundings and suited the drinks reception perfectly. A number of people have said how much they enjoyed the music and wanted me to pass on their compliments and thanks. I will certainly keep you in mind for any future events I am organising and hope to book them again soon. I do hope that this is the correct email address as I want to reiterate my telephone conversation with Nina about our Mariachi Tequila boys who arrived with us on the above date. They were truly spectacular, and as they came around the corner of the house to the garden where 110 people were drinking and chatting, there was a momentary hush, then many "Wows"! We were all thrilled by them so please do pass on our thanks. I just hope that one day we may have a good excuse to have them again. With our thanks. Peter and Lynette Davidson.